The Ling ottoman is soft, sophisticated and completely at home at the center of a group of friends. 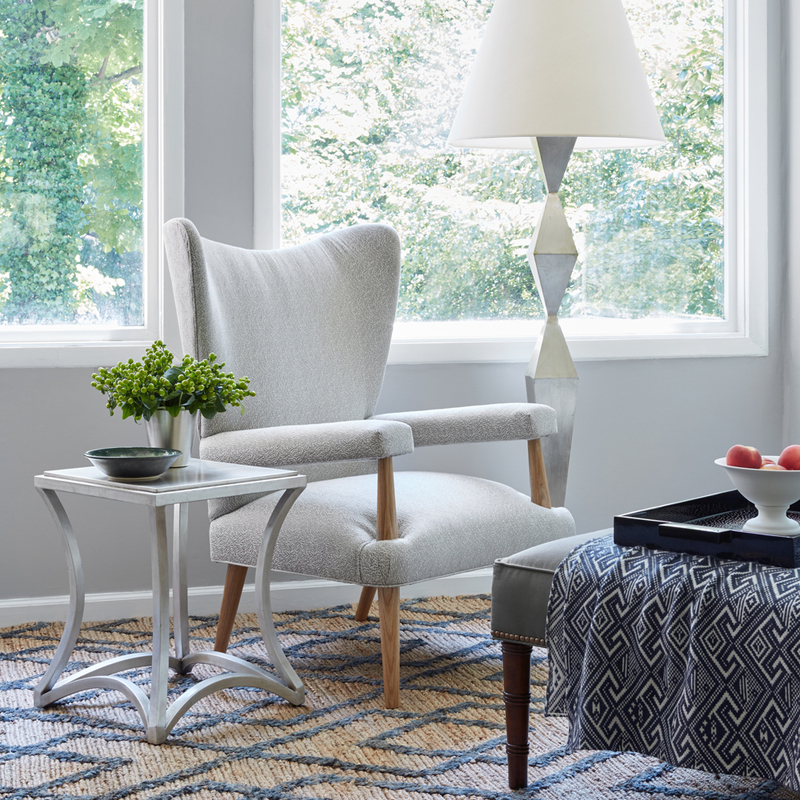 Detailed with nailheads and elegant stylized bamboo legs, it will root an intimate space. Custom sizing available. Minimum 3 yards COM or 60 Sq. Ft. required.